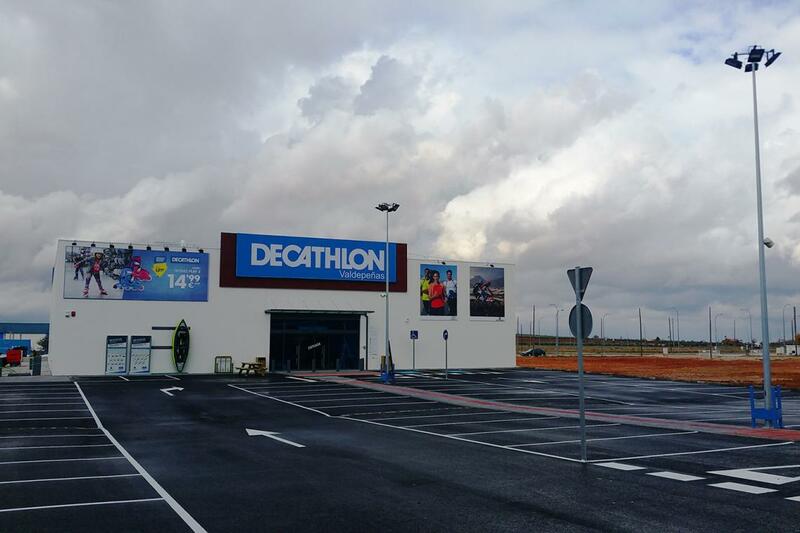 On November 25th 2016, the new Decathlon store in Valdepeñas (Ciudad Real – Spain) was inaugurated by the city mayor José Martin Rodríguez and the North Area Decathlon director José María Santos. 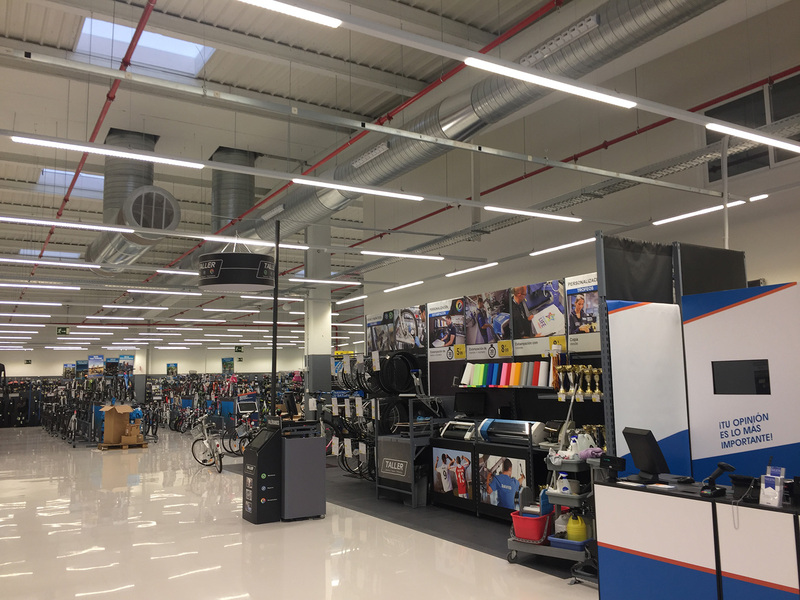 Almost 1.300 out of the total 1.500m2 of the new facilities is used for retail of sporting goods to customers. The store is located in calle Bodegas Sánchez Barba (next to Lidl and Simply grocery stores) and currently employs 18 young local people. It is the 6th store currently operating in Castilla-la Mancha. HVAC: 160kW-rooftop machine from CIAT to allow an optimized temperature within the retail area at any moment of the day. Staff facilities are equipped with individual splits. Fire protection: all equipments required by the norm were included in order to make sure the facilities and customers are protected in case of fire (fire extinguishers, optical detectors and alarms) therefore ensure customers safety at all time. 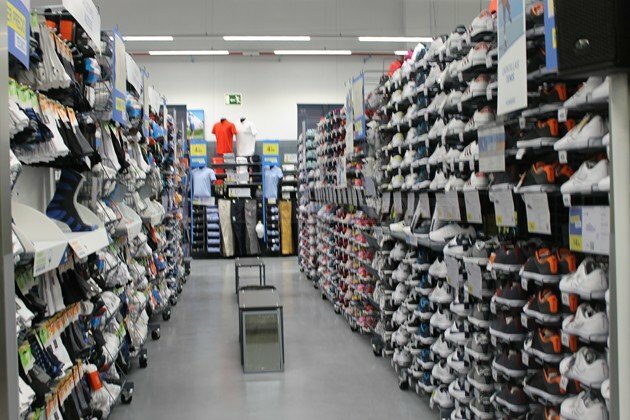 LED lighting: the retail area as well as staff facilities are lighted with LED technology to reduce power consumption by around 40.000kWh/year and avoid releasing 25 tons of CO2 in the atmosphere every year. The lighting network in the public area is from Trilux and was designed to give a minimum luminance of 1.000lx. A 11×2,75m LED back-lighted sign was mounted above the main access. This allows the store to be seen from the A4 carriageway. Carpark with 66 spaces in front of the entrance for exclusive use of customers. In every project of this size, team work is critical and this case is no different. We would like to thank the companies that worked on this project and that made possible such an achievement in such a short time: CEP S.L. (architecture), Grupo Normex (fire protección), Instalaciones Industriales Somains (electricity), Eivar (protection against robbery and CCTV) y ProjectSign (signing). 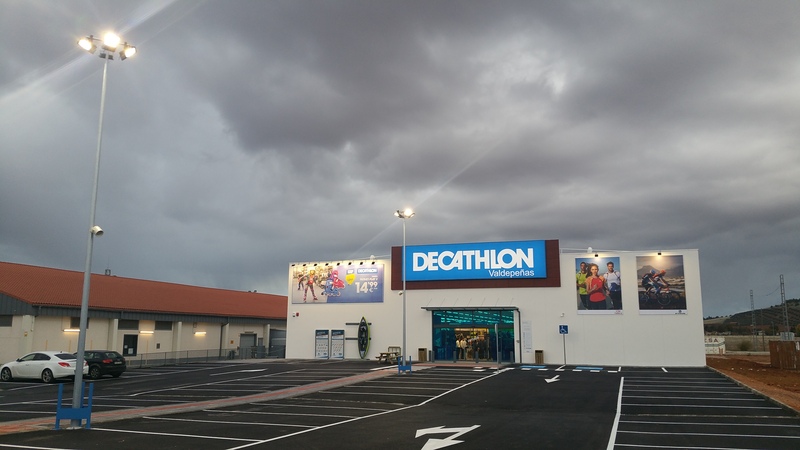 This is the 4th project led by GMD Solutions for Decathon after the stores in Ciudad Real and Ávila and the increase of footage square in the Collado Villalba store.